HOW NANCY MET SUZY: [scroll below to see Suzy Whaley Introduction to "Women Welcome Here" written in 2003. A good friend suggested I write a book for new women golfers to encourage them to take up the game. What I realized was that the golf industry itself -- the mostly men behind most golf club counters -- were not very welcoming to women. I started doing some research and went to the National Golf Foundation in Jupiter, Florida. (The NGF is one of the most important information-gathering organizations in the U.S.) I contracted to write the first book for golf teachers and The PGA and LPGA golf professionals about how to be more "welcoming". That book -- "Women's golf Programs That Work" -- was published in September 1999. It was not as complete as I wanted it and so we contracted for a revision. In 2003, the NGF published my second book: "Women Welcome Here! A Guide to Growing Women's Golf". It remains one of very few books that help golf facilities and golf professionals understand how to attract and retain women golfers. For many years it was part of the curricululum for LPGA Teacher and Club Professional certification program. It is still available at www.ngf.org. 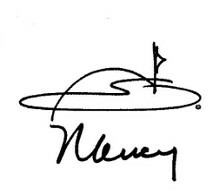 When I began the book, the NGF gave me a list of important people in the golf industry that I should interview. That's how I met Suzy. And then when I learned she was going to be the first woman playing in a PGA of America tournament, I traveled up to Connecticutt to be in her gallery. The truth is that she had a very small gallery -- maybe there were 10 of us. I was quite surprised because I thought her playing in this event was really historic and important (I was right!). I knew Suzy would be important, and I asked her to write the Introduction to my new book. What I didn't know at the time was that Suzy had used information in my first book about "Best Practices" as part of her PGA instructor certification/requirement. Suzy's Introduction written in 2003 -- fifteen years ago -- is just as current today. Her election as President of the PGA of America in 2018 makes my TIMELINE/women's golf tab. Thank you, Suzy, for your contribution to the game of golf and CONGRATULATIONS ON BECOMING PRESIDENT OF THE PGA OF AMERICA -- November 2018. My interest in golf began when I was very young. I played golf all the way through high school and college and decided to make a career out of it. My goal was not to become a tour player. I chose instead to focus on teaching golf and was certified by the LPGA Teaching and Club Professional division. A few years ago, I decided to become certified as a PGA of America professional as well. The PGA and LPGA programs have different areas of concentration and it is not uncommon for women to fulfill the requirements of both teaching certification programs. My final requirement for the PGA Golf Professional Teaching Program was a presentation on a topic influencing the golf industry. I knew I wanted to focus on female customers and had read Nancy’s 1999 book Women’s Golf Program That Work. As I worked on my presentation, her book encouraged me to develop new and creative ways to help women enjoy the whole golf experience. I am quite certain that this edition will become required reading for anyone that wants to reach, teach and keep women golfers. Women make 80% of household buying decisions, so it amazes me that facilities are not doing everything they can to attract and educate the female customer. That includes creating women’s instructional programs, hiring female instructors and female personnel, creating women’s sections in the golf shop and women’s days, and providing baby-sitting and special on-course etiquette and rules seminars. These are just some the ways to make women feel more comfortable and therefore more likely to return. Let me also add that women and men cannot be treated or taught the same way on the lesson tee. Women are not as strong as men overall and therefore their power and distance are limited. This, however, does not mean that women cannot play the game well or enjoy it as much as men. What it does mean is that a woman’s swing must be more technically sound than a man’s, so she can use her full range of her power and all the important muscles to hit the ball. Using only her upper body, usually the weakest part of a female, results in poor distance shots. Women generally must also be taught weight shift. Many women (especially those who finished high school before Title IX took effect) have not been exposed to as many athletic activities and do not automatically understand the basics behind hitting a golf ball farther. As golf professionals, we must be willing to take the time to educate women. No one likes to feel ignorant – it makes any activity feel unpleasant. Golf primarily has been a man’s game, but we are responsible for helping women learn to enjoy the pleasure of the game by giving them the tools they need. I have shared my thoughts with Nancy on how to offer those tools, and I hope you find them helpful as you come across them in the pages of this book. In the next ten years, I think women’s golf is going to make tremendous strides. Programs like the First Tee, Link Up 2 Golf, LPGA-USGA Girls Golf are leading the way in growing the game at the earliest entrance points. For us to keep women involved in the game we need more facilities to offer baby-sitting and women-specific programs. We also need to find ways for experienced women golfers to mentor new women golfers. Golf is a game of self-discipline, ethics, hard work and honesty. (Hopefully it’s also relaxing and fun along the way.) It teaches us and challenges us each time we play. My wish for women’s golf is that it continues to grow and prosper and makes itself available to any woman who would like to take it up.